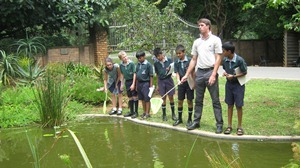 The Senior Preparatory phase includes learners from Grades 4 up to and including Grade 7. At Grantleigh we strive to build on the needs of the individual from the points of knowledge, skills, values, concepts and attitudes. The overall approach is child-centred and regular staff meetings are held to discuss the best way forward for the individuals in our care. A rich and stimulating programme is offered which recognizes the core learning areas of English (main language), Maths, Afrikaans (second language), Natural Science and Human and Social Sciences. 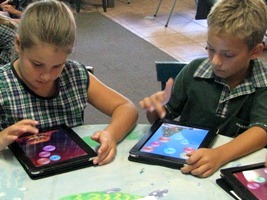 Balance and enrichment is provided by the other important learning areas including Music, Art, Computer Studies, Robotics and Physical Education, all of which are presented to the pupils by experienced, qualified teachers. The subject of Robotics was introduced as from the beginning of 2015. A strong culture of environmentalism exists and learners regularly go on outings and excursions to areas where this important awareness is reinforced. Academic excursions are a feature of our school and, with a fleet of buses at our disposal, places of educational interest are readily accessible and all grades enjoy major and minor excursions.